Belarus National Team has started its preparation for the LIEBHERR 2018 ITTF European Championships (individual) in Alicante, Spain, 18-23 September, having reunion at the "Raubichi" yesterday (Sept 9). The sports and recreational complex "Raubichi", so-called "Belarusian Switzerland", is located on the bank of the river Usyazh at a distance of 20 km from Minsk. The complex is surrounded by mixed forests and offers ideal conditions for the preparation. 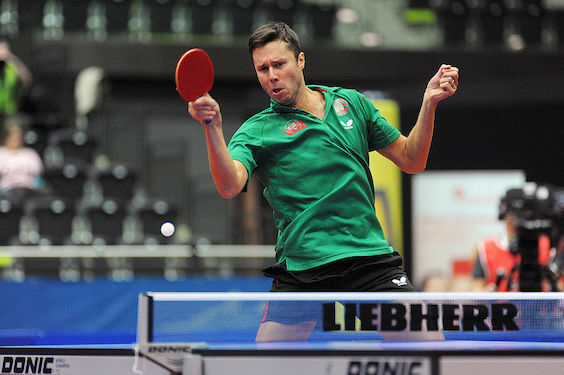 Three-time European champion Vladimir SAMSONOV leads his national side, as a biggest table tennis name in his country. Other three his men`s team members are Pavel PLATONOV, Aliaksandr KHANIN and Gleb SHAMRUK, while women`s team will be composed by Daria TRIGOLOS, Nadezhda BOGDANOVA, Alina NIKITCHENKO and Margarita BALTUSHITE. The LIEBHERR 2018 ITTF European Championships (individual) will be held in five events, men`s and women`s singles and doubles, as well as mixed pairs. Reigning men`s champion is France`s Emmanuel LEBESSON, while Turkey`s HU Melek will defend the crown in the women`s singles event.